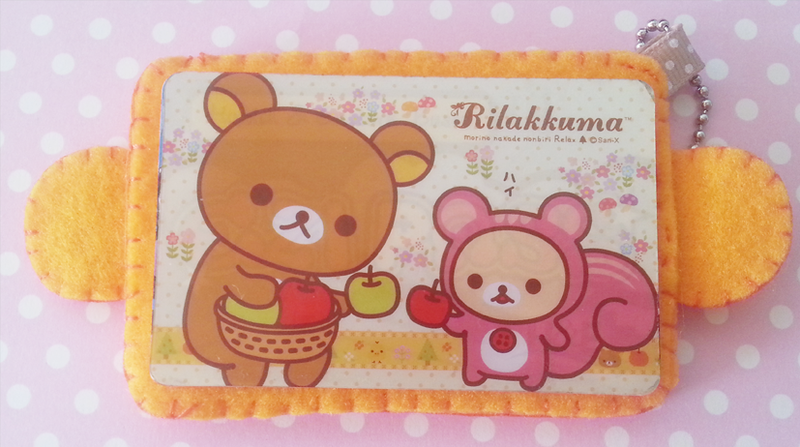 This post will be s a Rilakkuma Plushie ! Except it will just be the head part, and he’ll be in a “costume” of some sort. 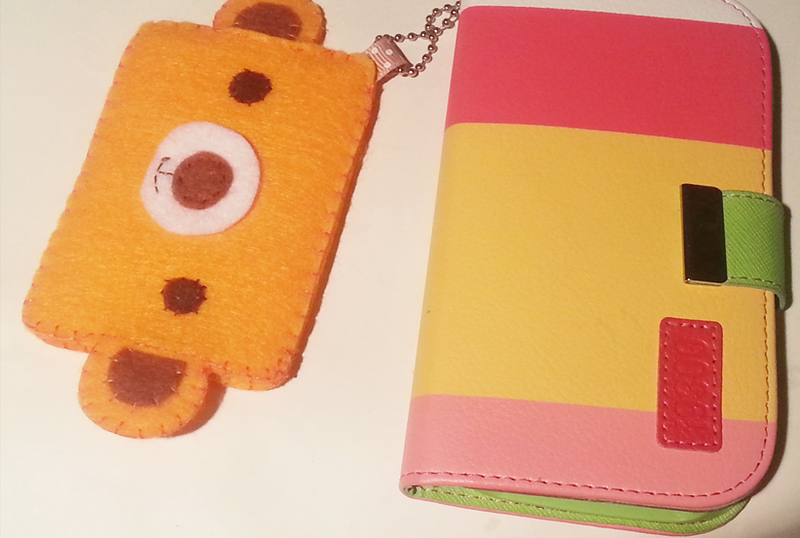 Basically, you can use WHATEVER colours you want and whatever design you want. 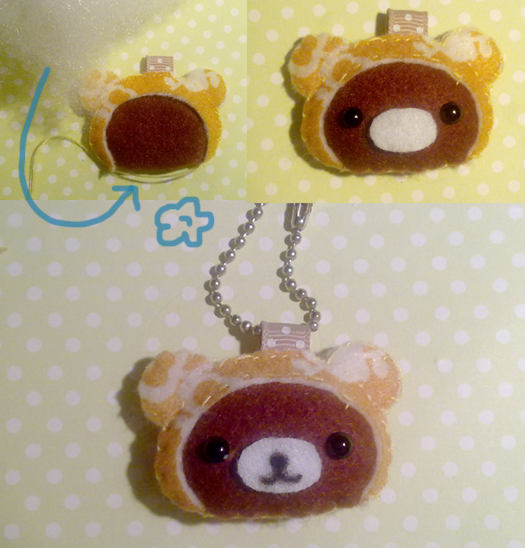 For my original one, I put Rilakkuma in a strawberry hood and this time he’ll just be in this random felt pattern. If you’re going to make something like a strawberry that has those extra details, make sure you add them on before you start to construct it. 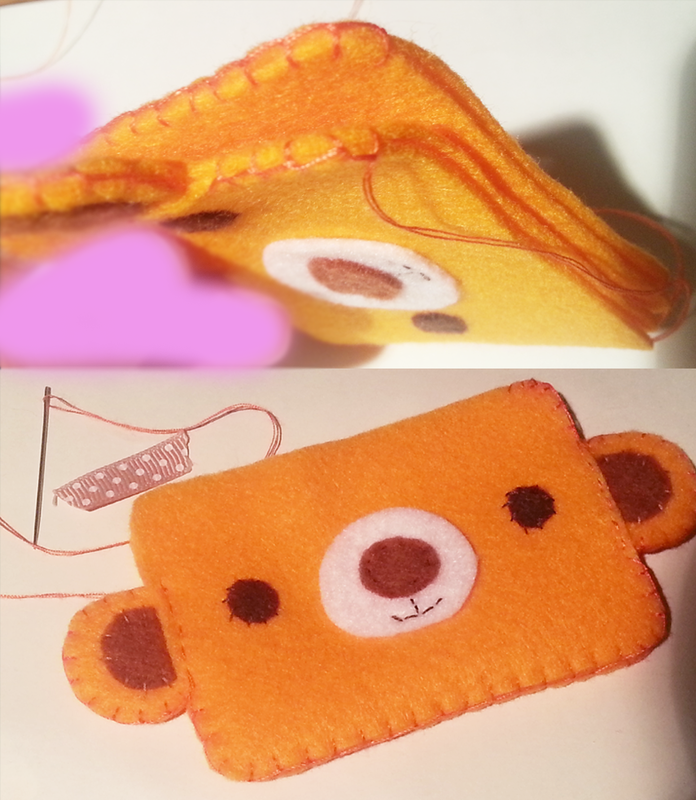 For this one, I had to use black thread and make those little ‘seeds’ on all the pieces of the hood. 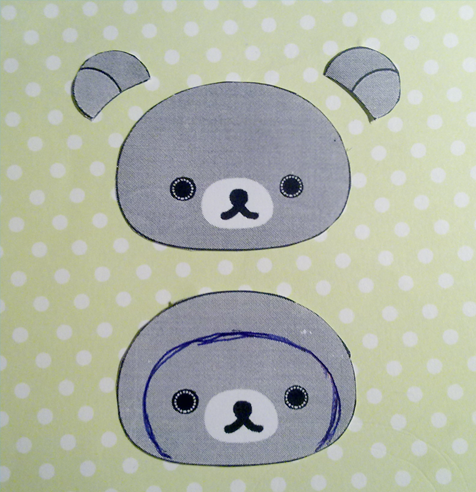 If you’re going to make an animal, make sure you cut out all the stripes and such. So here we go ^^ ! 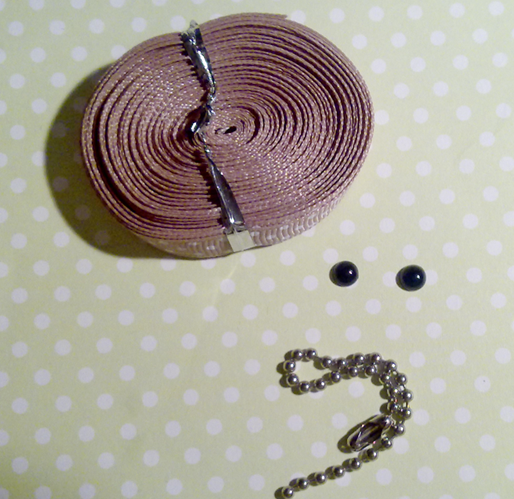 Place the ears in , and use a running stitch to keep them in place. 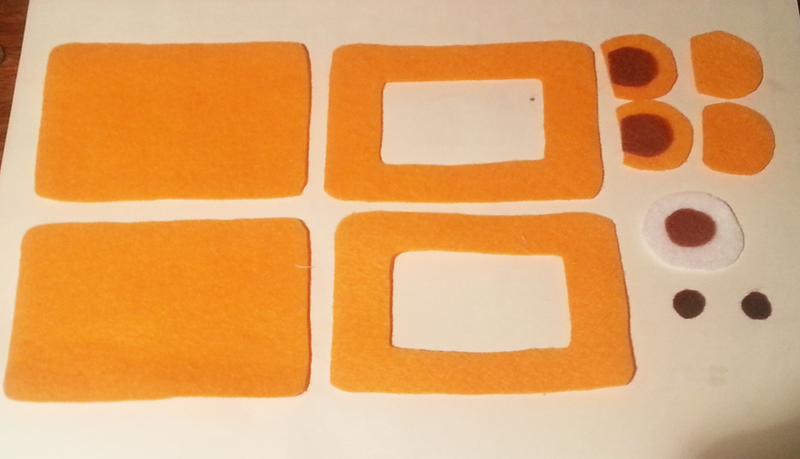 Continue to blanket stitch again until you get to the ears where you will use the running stitch. 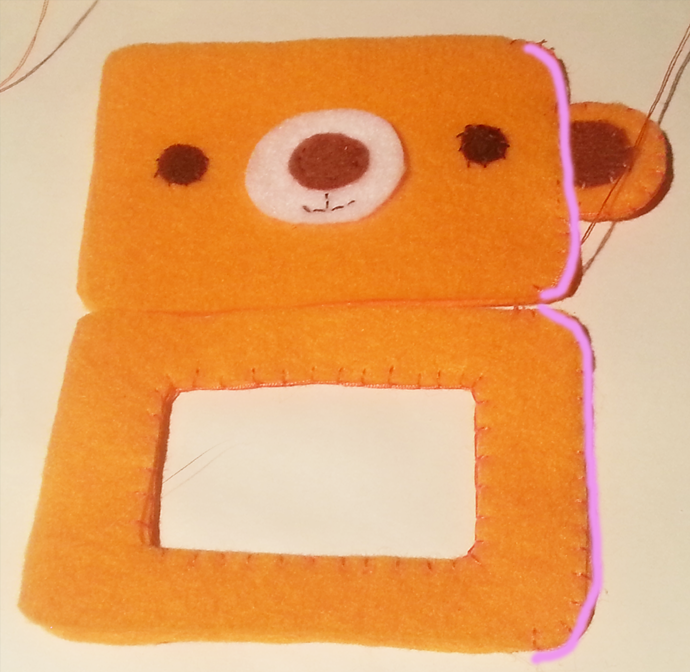 If you trimmed the brown too much and it doesn’t get stitched together when you do the outline, you may have to use a running stitch to attach it to the head like I did. Sorry I haven’t really been able to craft much, I just had three exams (math and chem on the same day ! Oh my life, I think I failed some ..) and I have about two more next week..
Then I won’t be on holiday for another week so yeah, until then, I guess there’ll just be updates here and there. But today, as you know, is the tutorial for the Elephant. 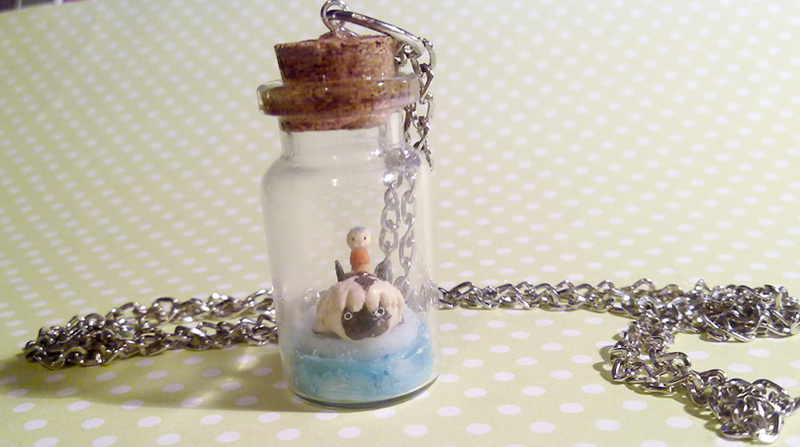 I don’t usually make animals and such, but yes ^^ Enjoy! 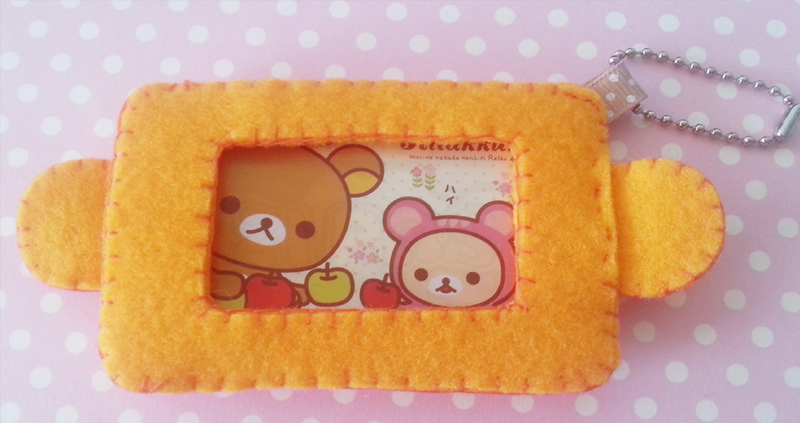 Isn’t it so cute ? 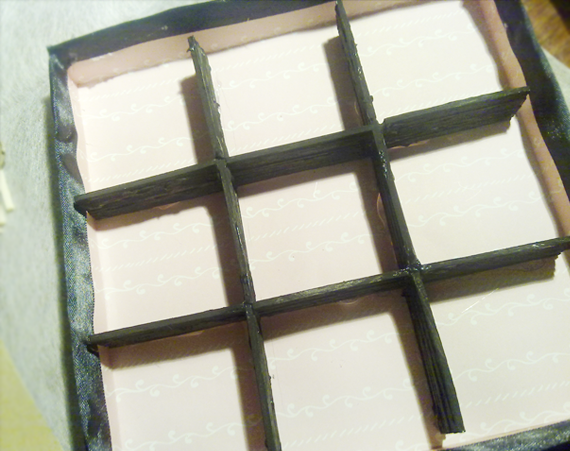 I thought this would be fairly easy to make , but I was so wrong…. the elephant I made took a few hours, and used much more clay than I had expected it to. Separate your main colour (in this case grey) into three blobs. Using the foil, make the basic body shape. Mine basically has the four legs, and the rounded top for the body. 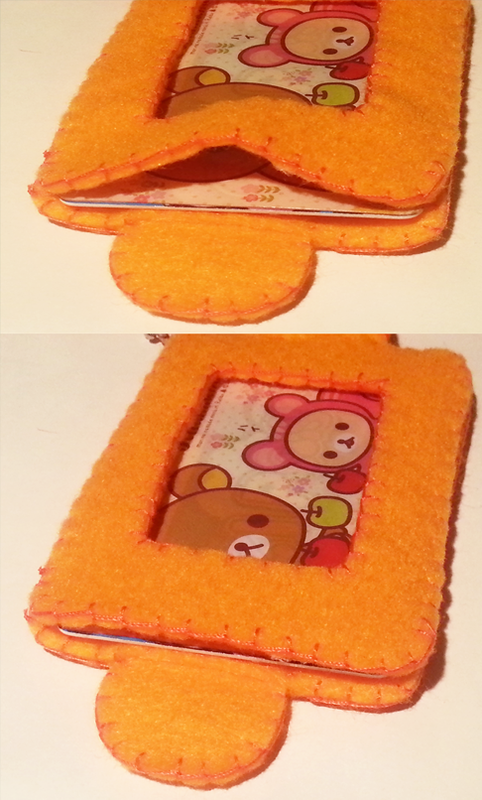 Pull out the edges at the bottom, and place it onto the elephant. Use whatever tool and blend blend blend ! (Second image) Now the Elephant should look something like this. You’ll notice that it doesn’t have enough height and roundness at this point. 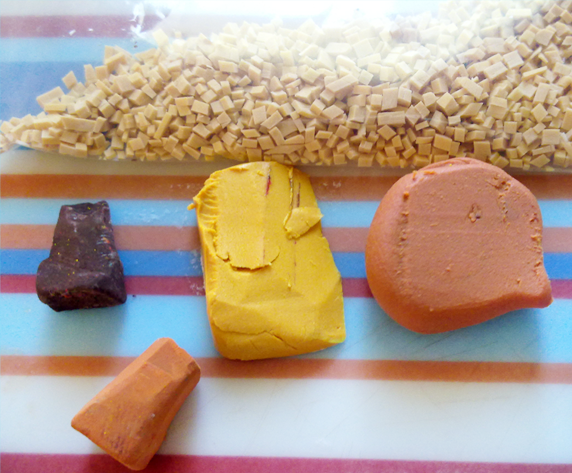 This is where I realised I needed more clay that I had thought .. 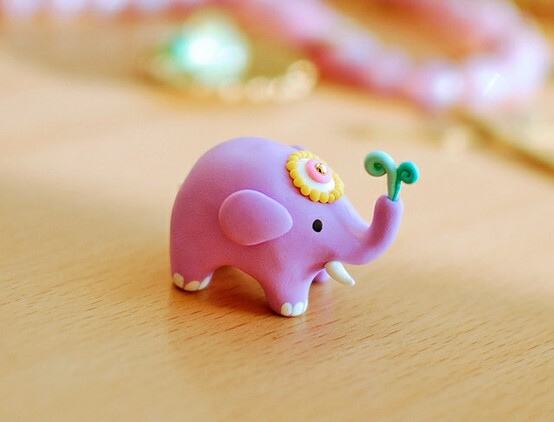 If your Elephant isn’t as round as you want it to be , add another chunk of clay and blend ! To even out the shape, I added another chunk at the front. (Third image) This should be the completed shape of the Elephant. 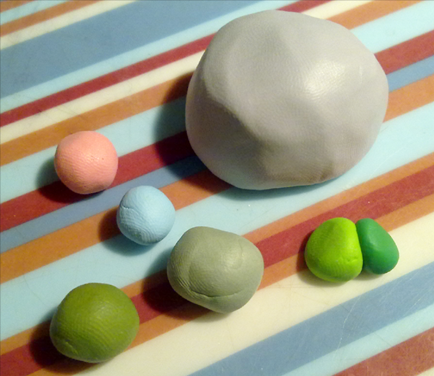 Take the pieces of clay that were for the ears, and make them into a tear drop shape. Place it on the sides on the Elephant where you want the ears to go. Now for the trunk, take a tool and make as small indent in the trunk opening. Roll the logs like you would for a lollipop, and stop when you think its the right size. Squish the two together, and place it in that indent you made. For the eyes, take two blue blobs, and stick them on. Take some light grey and roll it into a ‘tusk’ shape. (Third image) The leaf would go on something like this..
Make it into a leaf shape, and place it on the end of the grey log. Place it on the back of the elephant, and blend the edges of where it joins ! The Elephant looks extra shiny here because I tried out my Triple thick ! 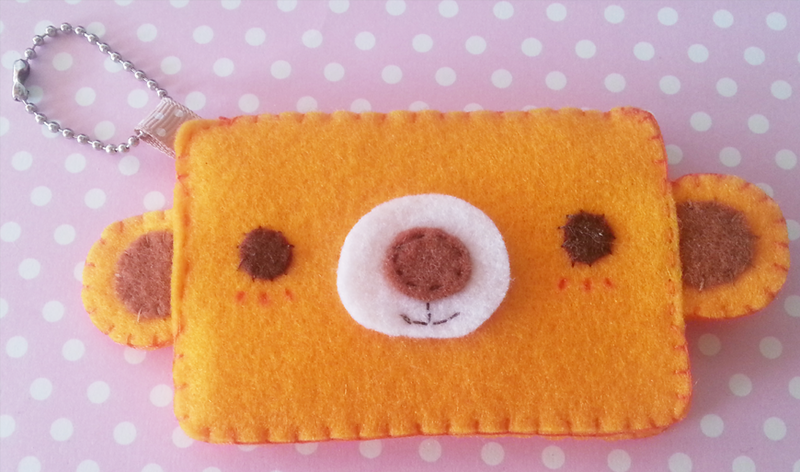 Here’s another simple tutorial for you today ! From the reference image, I’m not quite sure what character this was supposed to be…. I think the squirrel one ? Bunny ? Simple and short tutorial. 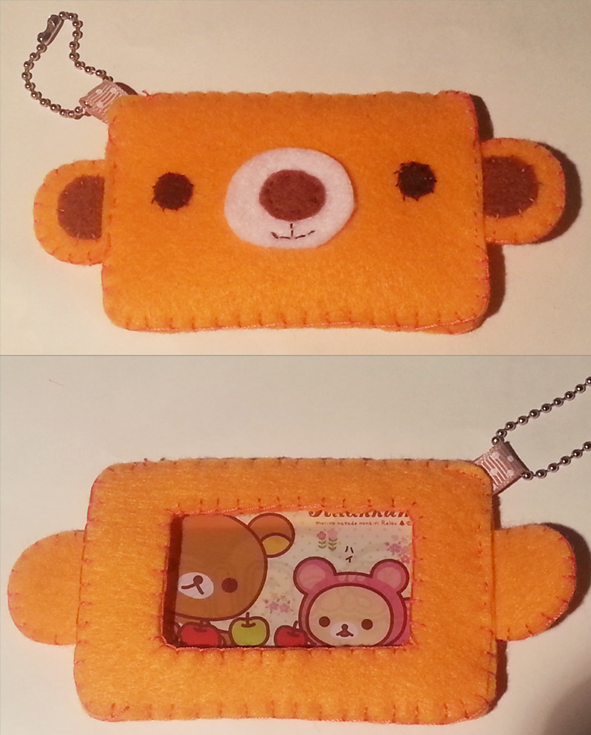 ^^ Hope you like it ! 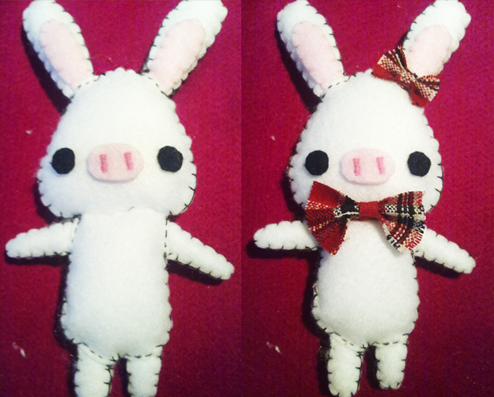 Today I will be posting the tutorial on how I made the Pig-Rabbit plush. 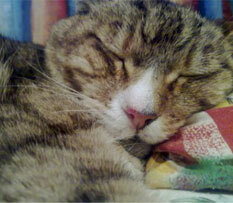 This measures approximately 17 cm from tip of the ear to the end of it’s paws. 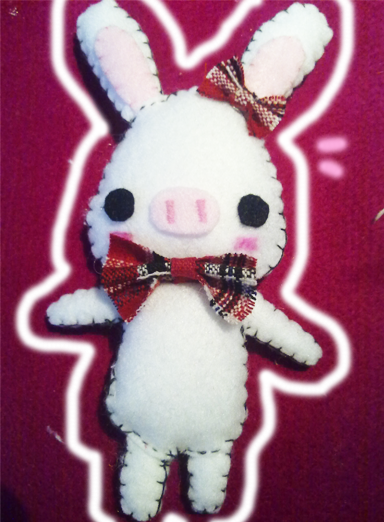 Pattern : [Link] This is the pattern of the pig bunny made by Deynaian Bloom ^^ It’s just a digital copy of this version of my Pig Bunny . Thank you so much !! 1. 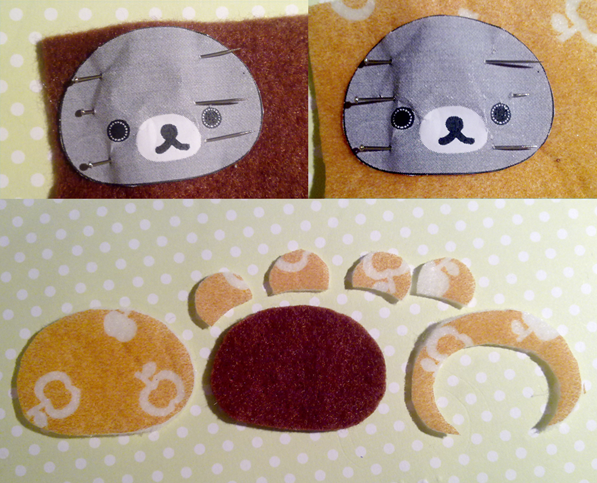 Cut out the pattern and pin to felt. 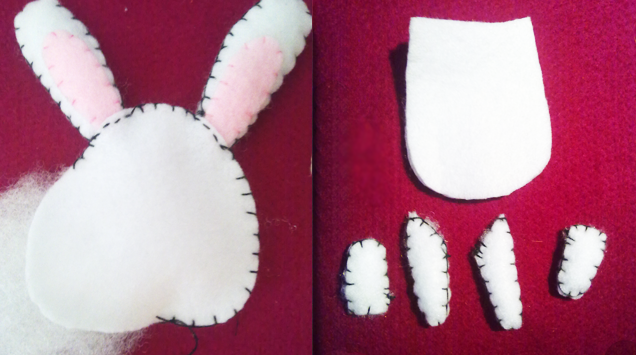 Cut out two of each piece (ears, head, limbs, etc). 2. 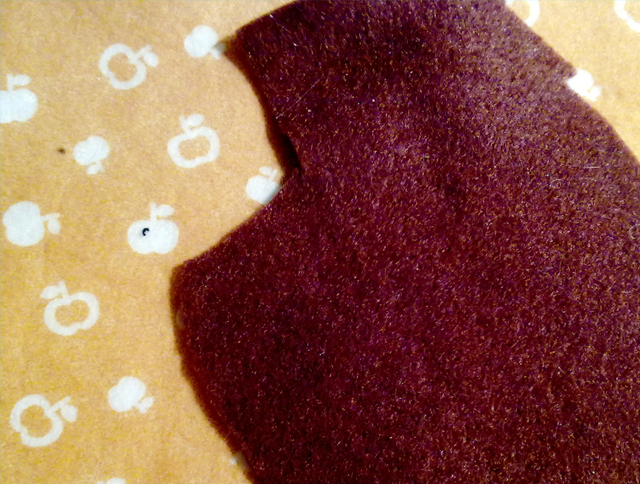 Sew two lines down the snout of the plush. 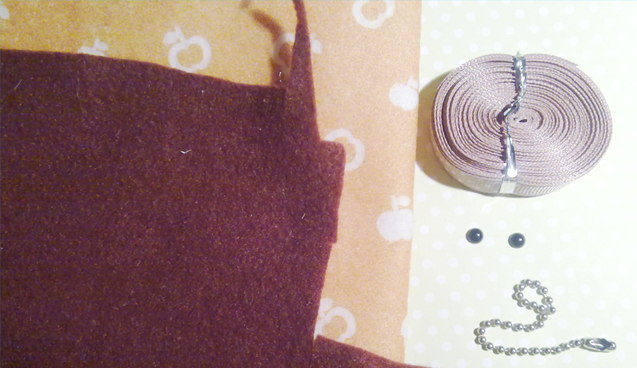 Try to choose a thread that is darker than the colour of your felt. 3. 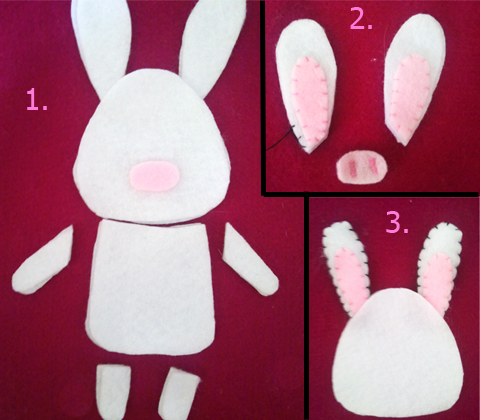 Using the blanket stitch, sew the ears together. Remember to stuff it with some stuffing. Attach the limbs to the body and sew it up. Again, make sure you stuff it. 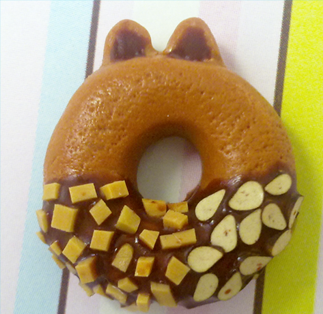 Made a bow from your chosen material and stick it on the bunny’s neck and ear. 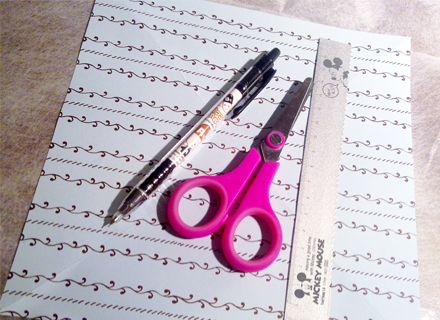 If you read my Getting started for felt post, you’ll know that my scanner is currently broken so I can’t scan the pattern I drew up. 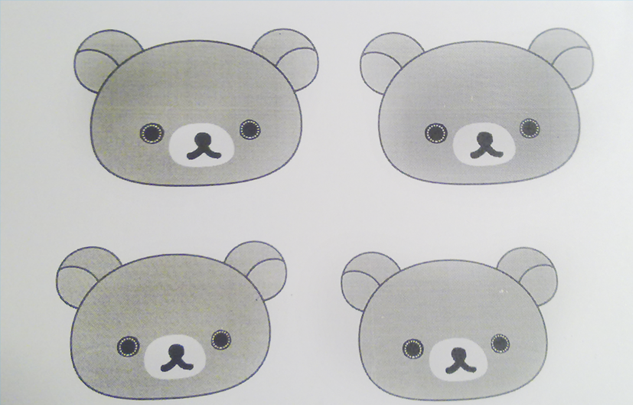 Hopefully you’ll know the approximate shapes from the images.